Corinna is a European and Chartered Trade Mark Attorney with almost twenty years’ experience in the protection, management and enforcement of trade mark rights. 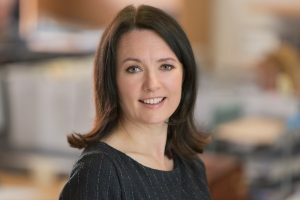 She joined Greaves Brewster in 2019, after beginning her career at another leading firm of European Patent and Trade Mark Attorneys, and working in the corporate and commercial department of a national UK law firm. Corinna specialises in the protection and management of international trade mark portfolios, including conducting clearance searches for new brands. She has particular expertise in filing and prosecuting trade mark applications at the UK and EU Intellectual Property Offices, as well as internationally via the Madrid Protocol. She also works with a network of overseas attorneys to co-ordinate trade mark filing programmes around the world. Her work comprises both contentious and non-contentious matters, including trade mark oppositions, invalidity and revocation actions, as well as providing strategic and commercially-focused advice to clients on the enforcement and defence of their brands. Throughout her career, Corinna has worked with a wide range of clients from start-ups to multi-national companies, across a wide range of industry sectors, including chemicals and minerals processing, oil and gas, medical devices, food and drink, beauty and personal care. She has a degree in modern languages (French and German) from the University of Oxford, and spent a year teaching in Germany and studying in France.